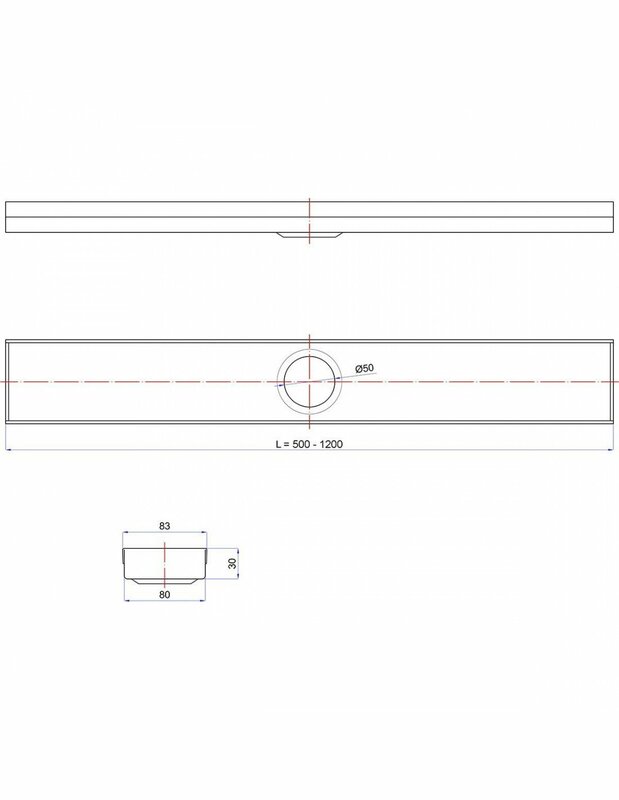 is stainless steel drainage without insulating flange. 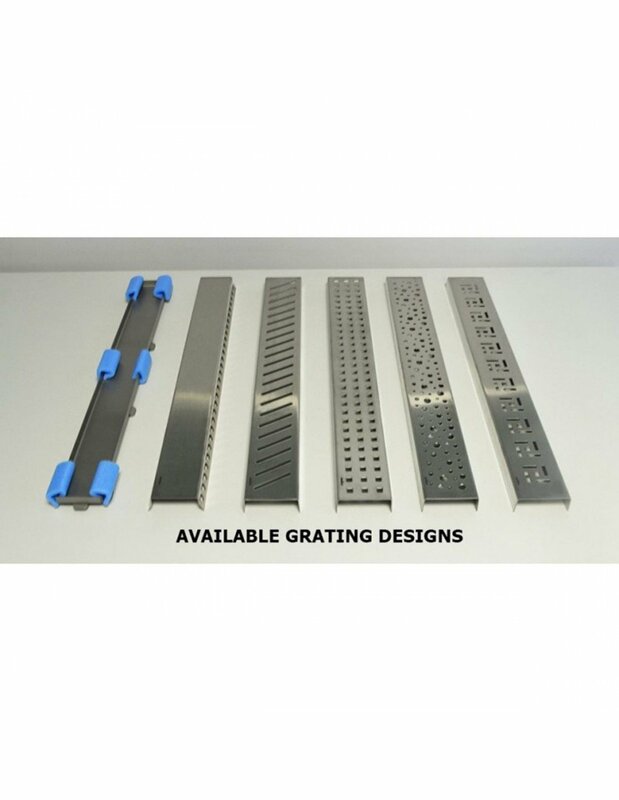 Channel is 700 mm long, grate 694 and total drain length is 760 mm. 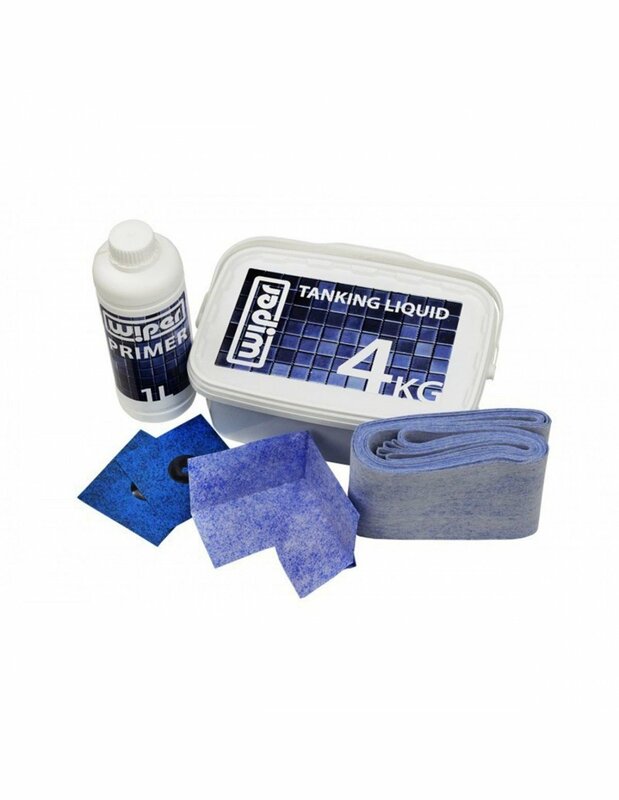 Should be used in showers that are at least 1m wide. It is recommended to be installed outside, or where the waterproof seal is not necessary. 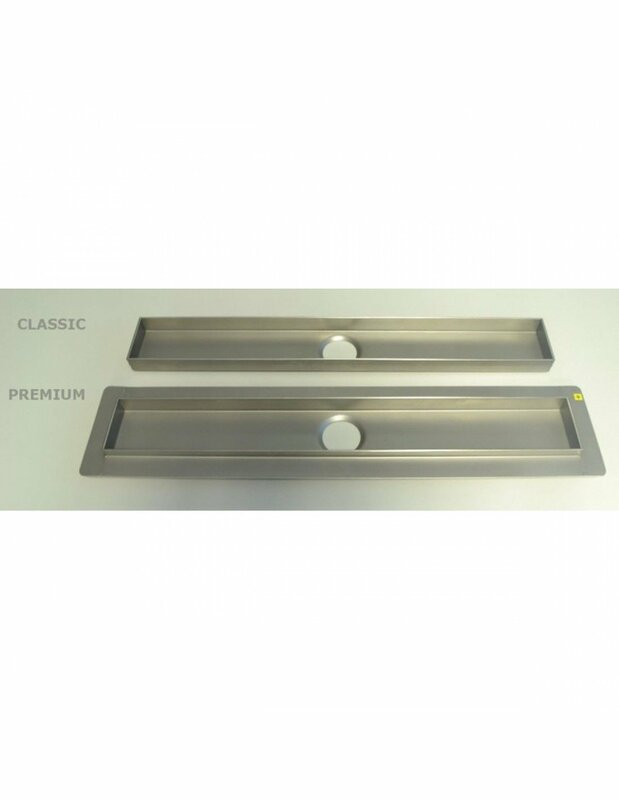 Swimming pools, terraces or garages are good examples of places where this drain can be fitted in. 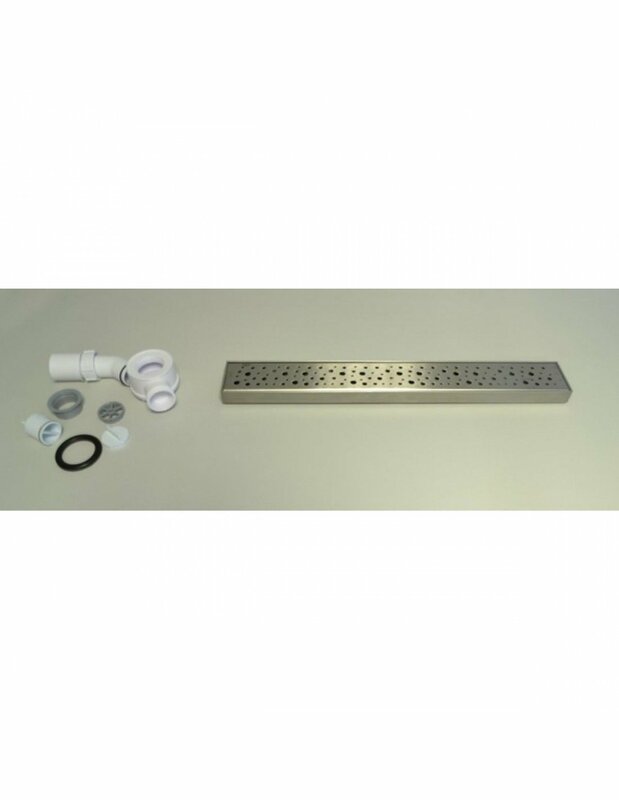 Manufactured of 304 stainless steel gives the product strength and corrosion resistance. 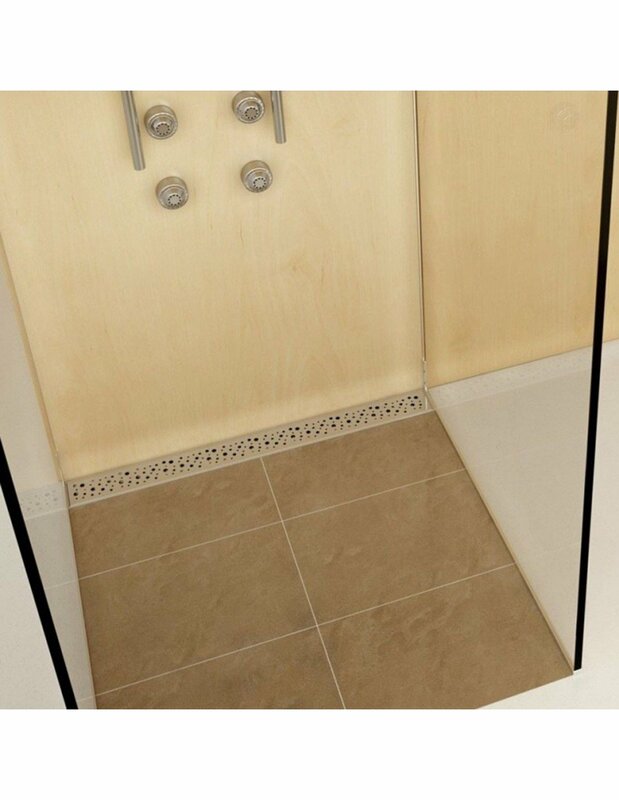 It is not suitable for indoor wet areas, wooden floors, although can be cast into concrete screeded floor. Channel is 30 mm high and total height with waste trap is 98 mm. It's the cheapest linear shower drain in our store. Width of Classic drainage channel is 8 cm and it has included Mistral grating, which features a pattern of regularly placed circles of various size along the entire part length, 64 mm width, grate is 694 mm long. 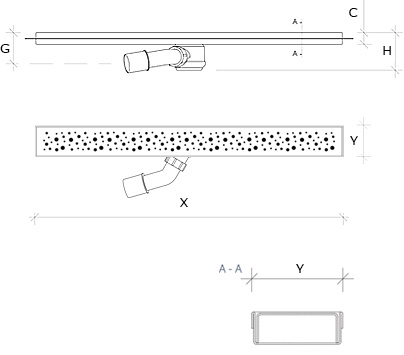 During installation, you need to create support below the entire channel and you can set the height it protrudes above the floor surface. 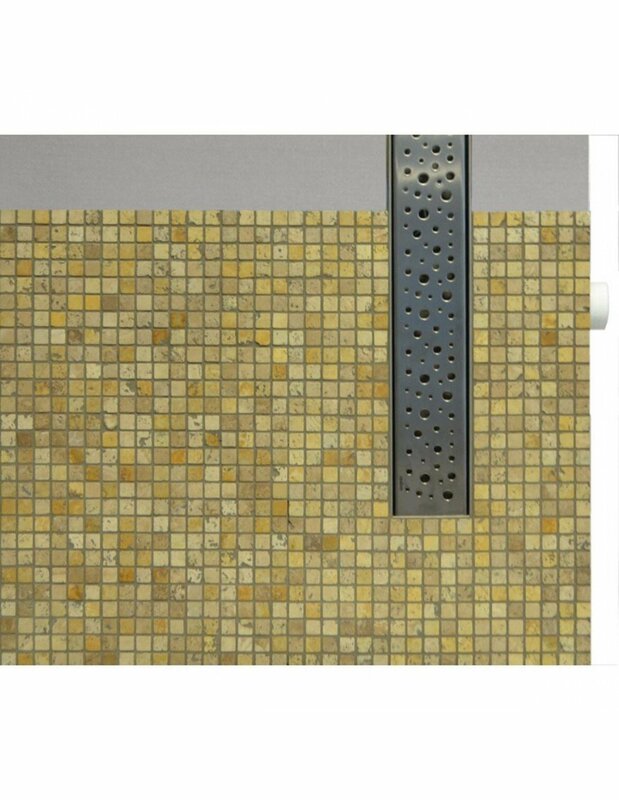 It allows you to adjust the lip height to match your tiles thickness. 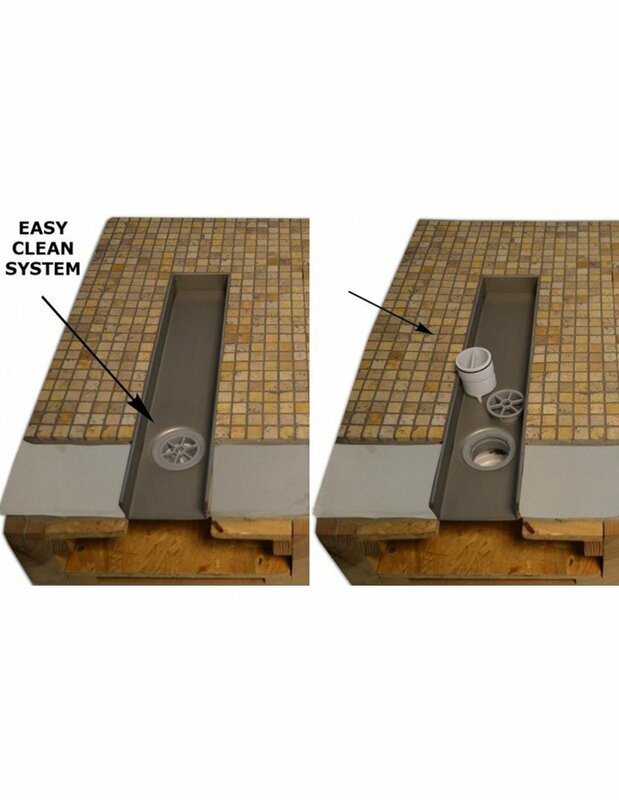 To ensure the drain works properly, surrounding area should be sound and tanked. Appropriate Mc Alpine waste siphon trap comes with the drain. It features flow rate of 26 l/min and 20 mm high water seal which stops the smells from getting back to your shower. Capacity is sufficient for standard shower with single shower head. Waste can be rotated and it's height adjusted giving much flexibility during installation. Chat started. Session ID: 1556192935. You are now connected to: David M.